Liverpool striker Mario Balotelli apologized on Tuesday for his social media post which appeared to contain potentially racist and anti-Semitic references. Balotelli, who made the post on his Instagram page on Monday, will be investigated by the Football Association (FA), according to British media reports. 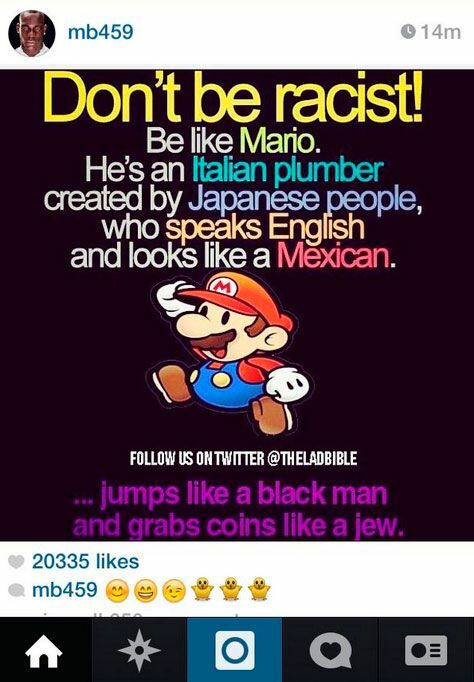 The 24-year-old Italian, who grew up as the foster son of a Jewish mother, later deleted the post, which called on fans to "Be like Mario," who "jumps like a black man and grabs coins like a Jew." "I apologise if I've offended anyone," Balotelli said on Twitter. "The post was meant to be anti-racist with humor. I now understand that out of context it may have the opposite effect." "We are aware of the posting which has since been promptly deleted by the player," a Liverpool spokesman told the BBC. "We will be speaking to the player about the issue."